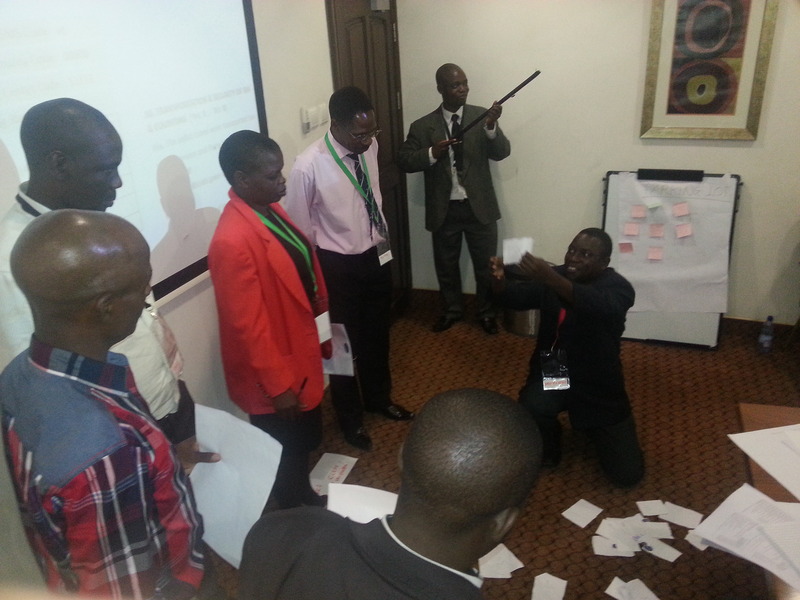 Role play: trainers demonstrate election day vote counting, monitoring and observation. THE Malawi Election Information Centre (MEIC) has kick-started a series of Training of Trainers (ToTs) with a session in Blantyre, the country’s commercial capital. 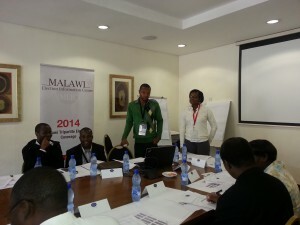 At least 56 ToTs are expected to be trained across Malawi’s three regions: Southern, Central and Northern. The primary objective of the training is to equip selected individuals with multiple skills that enable trainees to further train and impart the same skills to independent election observers. Officially opening the one-day training at Hotel Victoria on Wednesday, 9 April, SMAG Media Director, Sando Johnson, said the work carried out by observers was of fundamental importance to the successful running of the Election Situation Room (ESR) in Malawi. “You’re all a very important part of this project. We are relying on you. The work that you is very significant and will ensure that we run a very successful project together,” Johnson said. The twenty-three trainers who gathered for the meeting were drawn from various stakeholder organisations which are part of the ESR project. 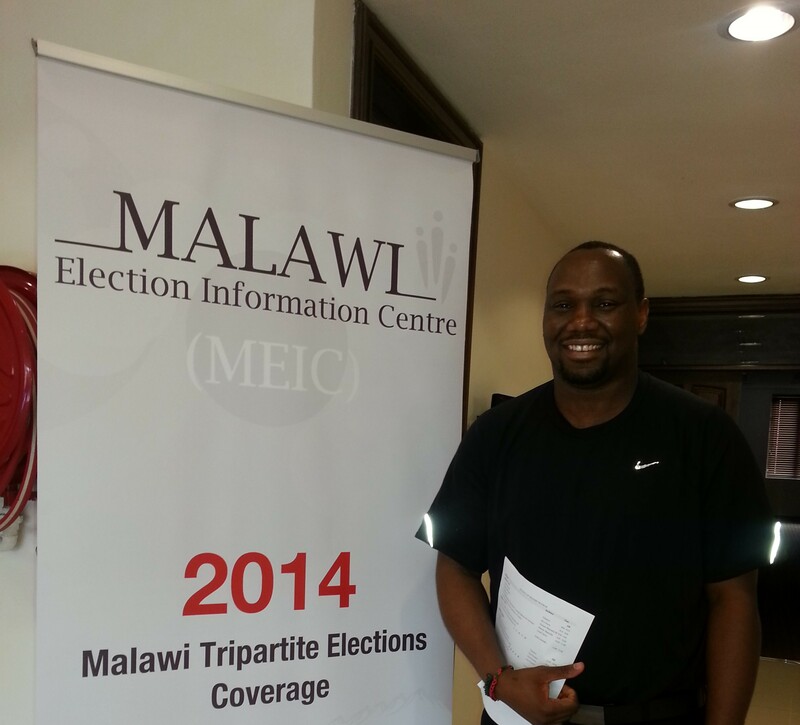 They also come from diverse backgrounds and have extensive knowledge of electoral processes in Malawi and other countries. 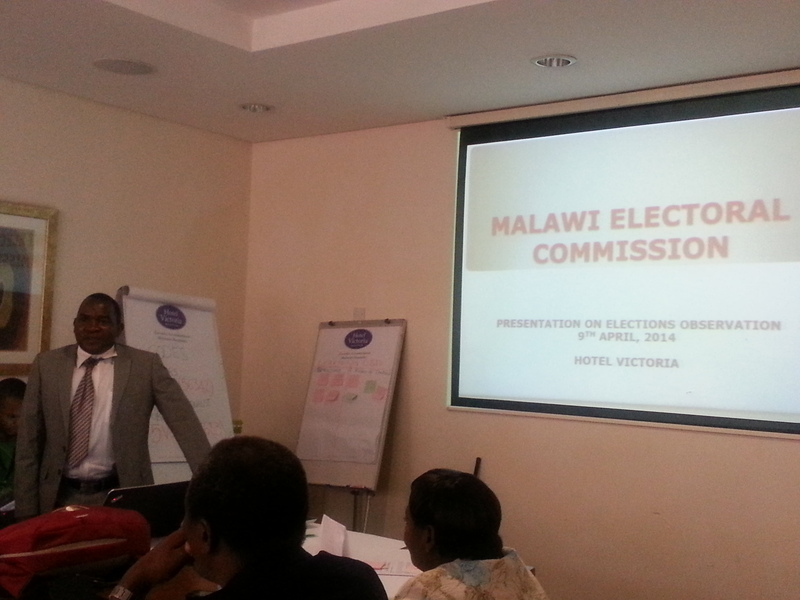 Central to the training were issues such as the ESR structure and intended mode of operation, specific roles of trainers and the Malawi Electoral Commission’s (MEC) Code of Conduct for Observers. In his presentation, MEC’s Senior Electoral Services Officer for Legal & Administration, King Rudi made the recognition that elections were extremely difficult and complex processes to conduct but insisted they remained a key feature of democracy. Rudi also pointed out that elections observation, despite being an expensive activity, is critical and whose undertaking ought not to be compromised. Speaking at the end of the training, Dumase Zgambo-Mapemba, MEIC Project Manager: Training and Media said the training had run smoothly and had delivered on key learning outcomes. Dumase Zgambo-Mapemba (standing, right), MEIC Project Manager: Training and Media conducting the training. “It was a great experience, an experience that went beyond our initial expectations. The trainees were always alert and quickly grasped critical concepts such as the use of the SMS platform we have set up for them,” said Zgambo-Mapemba. Instrumental to the training was the use of an observer checklist, detailing specific incidents on Election Day. Observers will then code these incidents into an encrypted SMS and send to the MEIC Data Centre where messages will be processed and analysed in real-time. SMAG Media Programme Manager, Gertrude Pourrier, praised participants for their effort on the day. “We started off slowly, but the trainers caught on in the middle. I believe the training was successful because the objectives of the training were fulfilled. To top it off, all the trainers were able to learn the Checklist which is the backbone of the training,” she said. The training expectation is that participants will be fully aware of their roles and responsibilities, including their lines of communications within the MEIC and ESR by extension. They will also be familiar with the different stages of Data Processing Cycle, and the importance of their role in transmitting information. Following the training in Blantyre, Lilongwe (Central Region) and Mzuzu (Nothern Region) are up next on 14th and 16th April respectively.